The question of how to break into, or advance quickly in a rewarding industry. In an increasingly interconnected world I find that I often receive emails from either young professionals or mid-career changers asking for advice on both getting into and succeeding in the oil and gas business. Some find me through my growing social network, and others through the occasional articles that I publish. Most writers don’t make any money from their articles or books, but are driven by a drive to share experiences and knowledge. So, when I get an email after I have inspired someone to take action, it is rewarding because it shows that I am helping others. If I hear the same questions from different people, this often inspires me to write about it. Then instead of helping people one by one through email, the answers are published so that they can be of service for many years to come. Usually within their answers to both of these questions we find an individual who is a combination of a sound operational advisor, and a knowledgeable technical engineer. As most of us know, these two qualities are difficult to find in one individual serving in a supervisory or management post. As with most industries, normally we find people who are either a good operational leader or a sound engineer, not both. The solution is to realise which of these skill sets come naturally to you, and work hard to develop the other. As an example, in my own chosen specialty, Rig Integrity, Resource Management, and Operational Assurance for the Upstream sector, one has to constantly strive to develop new competencies, in order to stay relevant and valuable to clients. For the aspiring professionals in training, or those who have recently began careers in the industry, this is a good opportunity to develop. Realise which set of core skills is their weaker area and focus on it going forward. Constantly striving for excellence in leadership and technical skills will help them to stand out from their peers. This enables them to market their services to a specific audience, as someone who understands, and can demonstrate that they understand the operations being conducted. If you are a strong leader, with a high level of technical knowledge then you can handle any challenge. The confidence in knowing this can make it easier to demonstrate to an employer that you provide a particular level of value which distinguishes you from your peers. This is the key to advancing in the industry! All aspects of onshore and offshore oil and gas operations – what we broadly term petroleum engineering, and includes the full life cycle of the well, from reservoir and formation evaluation, to drilling and completions, to production operations, to workovers and well service work, to P&A – are inherently very technical in nature, requiring analytical methods to be used throughout the well life. This requires continuous monitoring and management of the equipment, procedures, processes, and manpower (which is often comprised of people from many different cultures and nationalities). To compound this, these are without question some of the most hazardous environments in the world to be working in, when you take into account the hands-on nature, moving parts, heavy equipment, high temperatures, high pressures, fluids with chemicals, and many types of stored energies. We have built on our industry knowledge from all the way back to the 1800’s when the first onshore oil wells were drilled using rudimentary tools, to the capabilities we are developing and using today in ultra-deepwater and extreme environments. And yet, we are still exploring in ever deeper wells and water depth, more challenging geology and cost restrictions, and more remote locations using, in parallel, both ageing and new-build rig fleets for the well construction – all of this demands a level of understanding and methods high above those which were once sufficient for these operations. The bonus is that this also makes it one of the most interesting and exciting career fields in the world for young and mid–range professionals (of any specialty) to be a part of. It is high risk/high reward. The technologies we are implementing today to help solve downhole challenges are truly awe inspiring. Because of these, we need supervisors who are completely aware of the operating procedures, so that they can effectively assist the engineering teams with mitigating and minimizing the associated hazards created from these type of highly specialized operations. This is partly taken care of in the planning stage, but we also need to be very vigilant when the drilling starts. There have been a number of articles written the last couple of years discussing the coming skill gap with the ‘great crew change’. Some authors cite the the urgent need for more university engineering graduates. As a side note, I had to initially swallow my pride to do some fairly awful jobs in this business. I certainly started at the bottom. Worked security in similar “glamorous” jobs in the private sector. When I made my move from security, to oil and gas, I wondered at the time, what one of the billionaire CEO’s or A-list movie stars I was working for in Hollywood would think if they realized I was now a deckhand cleaning toilets on a liftboat in the middle of the Gulf of Mexico! (No, I’ve never regretted that decision). The capacity for being able to work in a team is hugely important so that we can effectively relay information and get engagement with basic guiding principles. These include international standards set forth by organizations such as API, MODU, BS & HSE (UK), OSHA, NORSOK, IMO ISM, and ISO. These guidelines put forth approved best practice recommendations, depending on what region we work in and the registered origin of our company. Leaders must have the ability to cascade lessons learned from the field, not only locally or regionally, but also from worldwide events, to all levels of the operating organization vertically and laterally, in order to prevent the re-cycling of incidents. 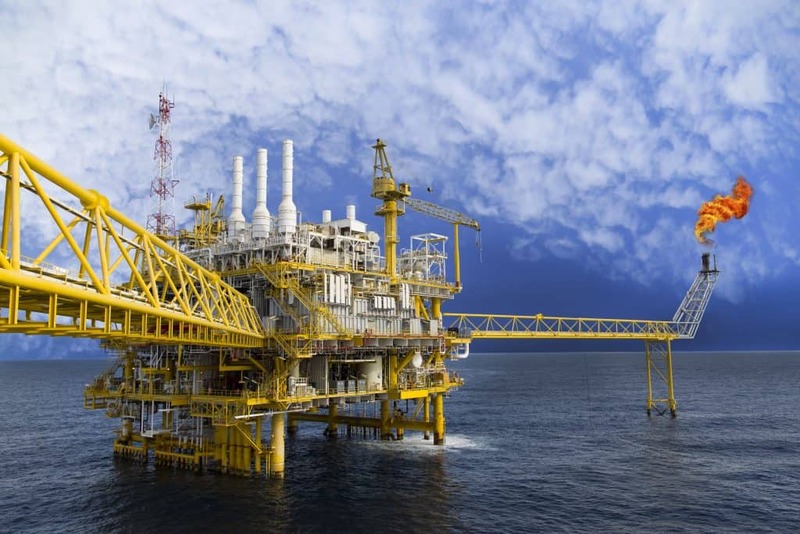 Worldwide coverage of accidents such as those at Macondo and Montara are only the final result in a series of escalating smaller events which ultimately caused the final well integrity failure. That’s where we want to go… So how do we get there? The candid answer is that there is no road map; you’ll be required to blaze your own trail. There are, however, some gentle suggestions which may help you get started…. The first step is to decide, firmly, that this is the chosen area we would like to dedicate our professional lives to, and take confident action on it. The reason is because becoming a fully competent professional, especially in an industry as demanding and technically challenging as ours, requires self-motivation and an ever present desire for knowledge. You will be learning the trade for the rest of your life; its not a part time side hobby, it has to be a passion. One way to shorten the learning cycle is to ask for advice from the previous more experienced generation who are nearing retirement age, who have been in the business for many, many years – pick their brain, listen to their stories, and their own lessons. And as other writers have previously mentioned… Make no mistake, there are and will be hardships, such as extended time away from home, long hours, steep learning curves, failures, and yes, sometimes harsh, uncomfortable conditions. The second, is to choose a specialization area for the focus of our interests. This may require new crew members to take any available entry role and work up through several areas, deciding eventually which specialty he/she prefers. For example, either upstream or downstream; onshore or offshore; drilling rigs or production platforms; domestic or international. This allows us to focus our energies (important in any area of life, we find as we get older). The technologies we use are changing and improving at a healthy pace – hence, we also must remain agile / adaptable, pragmatic, and be willing to update our notions of what we believe to be best practices, as novel ideas are being generated and put into use. And we have to continue to ask new difficult questions, regardless of, and sometimes in the face of what has always been done before. The third, is to decide to continually develop yourself on matters that are applicable to your chosen area – while at same time developing your leadership skills and keeping an eye on where you plan to be in 5, 10, and 20 years. If you are already employed in a position in your desired type of role, do not simply wait for and depend on your current employer to devote the time and resources to send you to courses or seminars. Be willing and ready to bear your own costs on your own time (think longer term investment, not sunk costs! ), as this might be the only way to build the knowledge base you want. Read white papers, technical publications, and books focused on your job family. Seek membership in groups and international organizations such as the Society of Petroleum Engineers and/or the International Association of Drilling Contractors, which offer information and advice on issues critical to our industry. The information is out there and it is abundant – all we have to do is use the initiative to seek it out. [In your eager pursuit of the above, it is important to remember this: there are two types of integrity… one having to do with industry (operational, asset, mechanical, etc), and the other which is PERSONAL INTEGRITY. At the very least, uphold and be an “expert” in this second one – *DO the right thing by people, even if and when others do not; DO what you say you will, and honor your agreed upon commitments to others. DO NOT sacrifice your personal integrity in the pursuit of the dollar or individual short term gain. This business is cyclical, and you have to be willing to weather the storms, the low times, to survive in it. Be willing to graciously give and assist without expecting something in return, and serve as a positive example others can aspire to follow. Emotional intelligence (and again, with integrity). An effective leader (capable of communicating across all demographic groups). Possesses the level of technical knowledge to assist senior management and key personnel with on-site practical engineering challenges that present themselves during drilling. Someone who has mastered these skills will be invaluable to contractors and operators alike in the near term and future, as we continue to expand to these more challenging environments. As the skills gap grows more acute, and the market balances out, new up and coming engineers will see that it is still a good time to become an oil & gas professional. See you in the patch. Please note, an alternate version of this blog was originally published as an article in an ASSE O&G Technical Publication in 2013. I’ve updated and amended to address the subject more broadly.